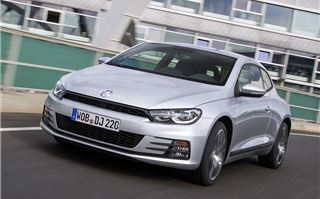 The Volkswagen Scirocco is more popular here in the UK than it is anywhere else in the entire world, so the UK reception of its latest nip-and-tuck matters a lot – to Volkswagen at least. It’s not the most comprehensive overhaul, but there are improvements to engines and tweaks to the styling to help bring the car up-to-scratch with rivals like the Peugeot RCZ. 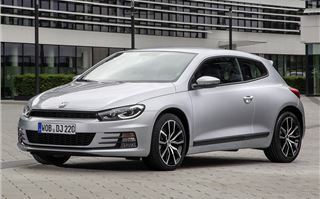 From the front the updated Scirocco looks quite similar to the outgoing model, but there are changes including a new grille design and tweaked bumpers. 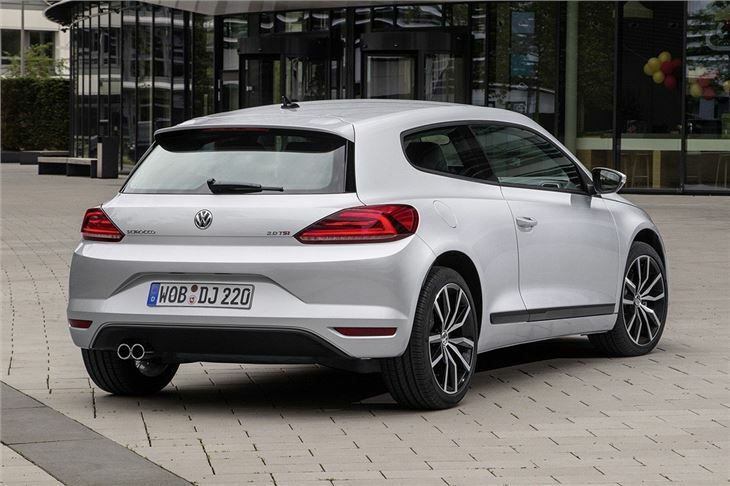 The changes are more pronounced at the rear, where there is a new boot lid design with a pronounced crease and slimmer LED tail lights. These come together to emphasise the width of the car, giving it a subtly more purposeful and pronounced stance – particularly the range-topping, 280PS R model, with its R-specific body kit. 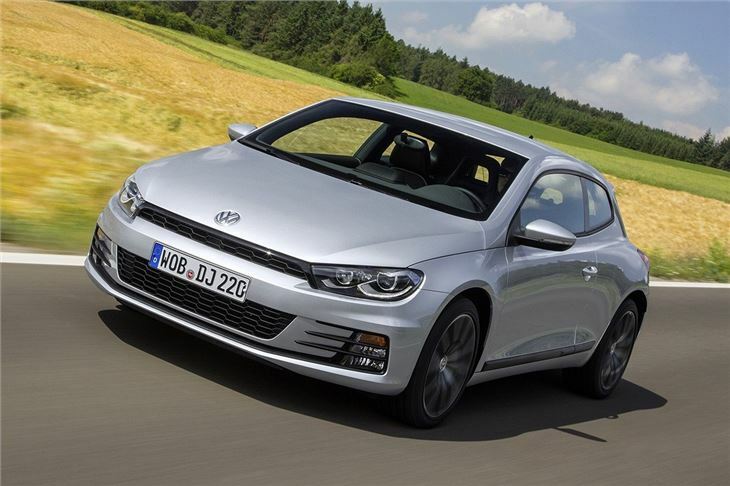 The engine range has been overhauled, with more power, reduced emissions and improved fuel economy across the board. 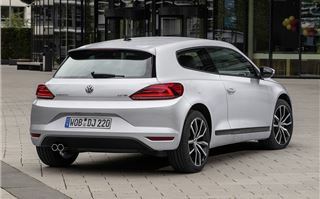 The entry-level engine is a 125PS 1.4-litre TSI petrol, which is available alongside new 180PS and 220PS 2.0-litre TSI petrol engines, plus the 280PS engine in the range-topping R. All engines in the range except the 1.4 petrol are available with a DSG transmission. 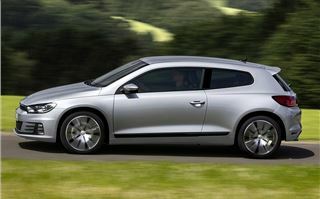 In the UK the best-selling variant until now has been the 140PS diesel. 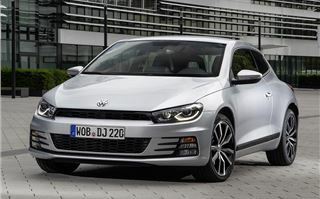 This has been tweaked with new software and has an increased output of 150PS, plus improved fuel economy, now 67.2mpg versus the old model’s 62.8mpg. That means reduced CO2 emissions, down from 118g/km to 109g/km, one VED band lower. The top diesel, tested here, also gets more power - up 7PS to 184PS. Economy is improved by 8.8mpg, to 64.2mpg. 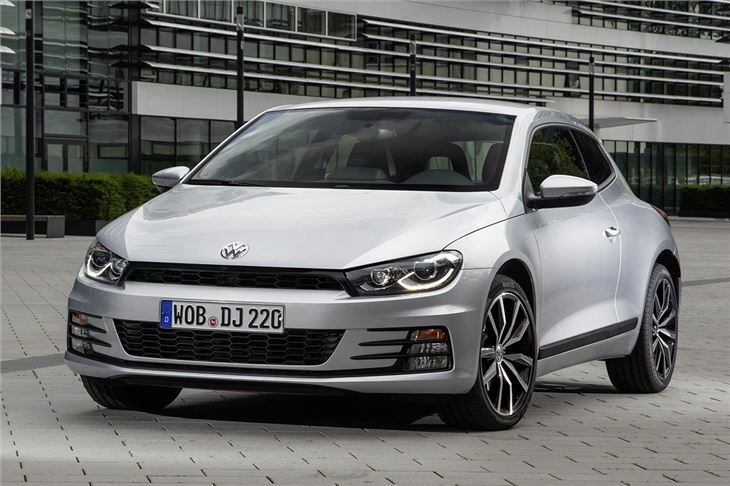 Despite there being no increase in peak torque (it's still 380Nm), performance is slightly better than it was before – 0-62mph takes 7.5 seconds, down 0.4 seconds and top speed is up by around 4mph to 142mph. 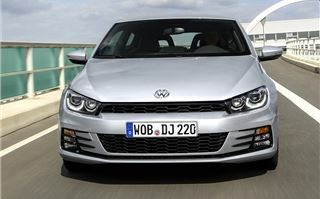 Emissions are 115g/km, which drops the VED band from D to C. The improvements are subtle, but then there wasn’t a lot wrong with the TDI engine in the first place – it was and still is an excellent engine. It’s refined and quiet, starting up in near-silence. The engineers have tuned out most of the clatter, but the ‘good’ noise is left behind – the Scirocco TDI still sounds like a diesel, but it certainly doesn’t sound bad when pushed hard. Peak torque comes in at 1750rpm and is available up to 3000rpm, so you don’t have to work the gearbox hard to get useful acceleration. This is particularly useful on a tight, twisting country road. You can ride the torque in and out of most bends without having to change up and down through the gears – not that changing is a chore thanks to a smooth, precise shift action. Well-weighted and accurate steering, minimal body-roll plus masses of grip make the Scirocco a fun, confidence inspiring car to drive on a challenging route. 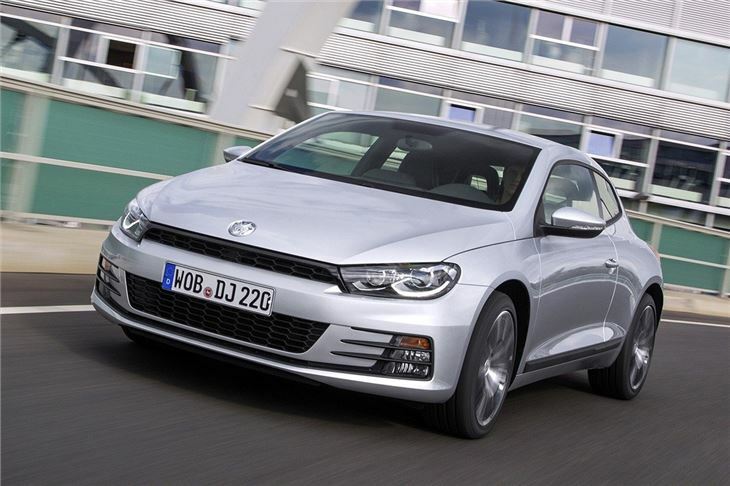 Our test car had dynamic damping control, making it possible to stiffen or soften suspension depending on road – but at £810 you’d have to be an enthusiast to tick the option box. 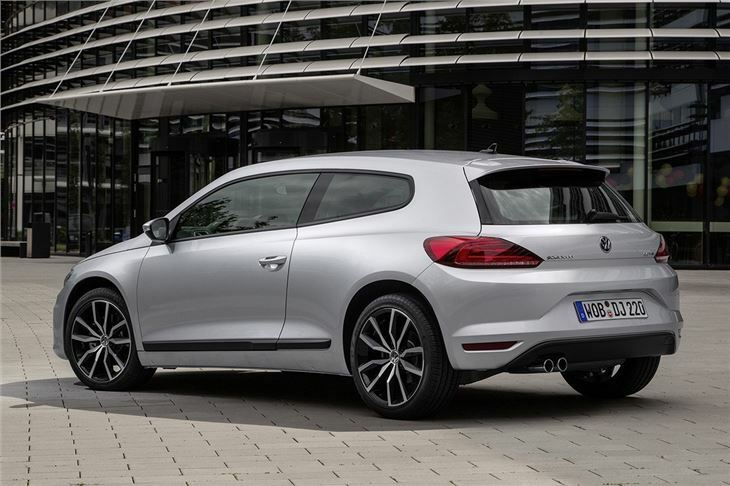 For everyone else, the Scirocco offers a great blend of driving characteristics. Take it to town or a motorway and it settles down nicely. Refinement is excellent, with barely any wind or engine noise at all, only the faint drone of tyre roar. 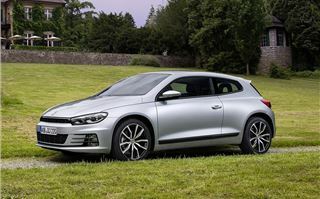 In fact, when simply cruising or driving gently the Scirocco feels very much like a Volkswagen Golf – it’s mature, easy and relaxed, riding well over lumps and bumps and easily soaking up mile-after-mile in comfort. The Scirocco’s basic cabin layout might have been introduced in 2008 but it still feels up-to-date and well-made. 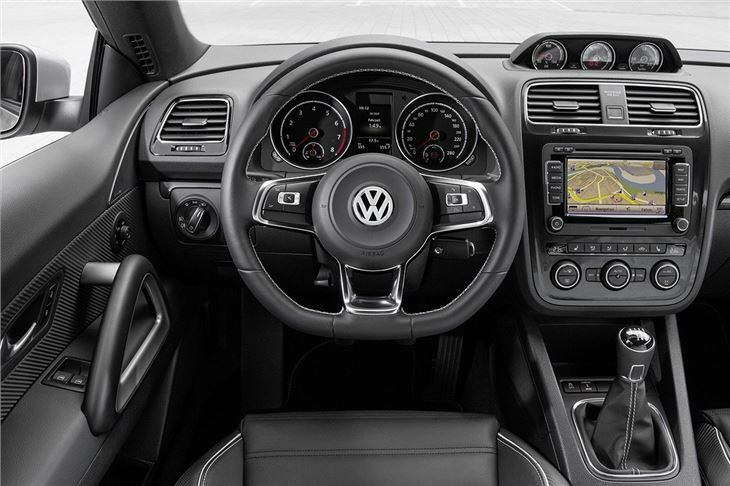 There have seen some minor tweaks including the addition of new fabric colours and an attractive cluster of instruments on the top of the dash, reading out boost and oil pressure. The changes are largely superfluous, but they certainly look the part and freshen things up. 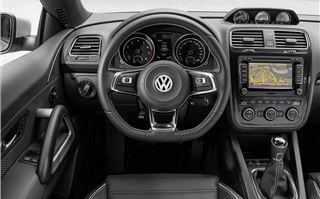 New optional equipment for the revised model includes blind spot assist and an automatic parking system that steers the car into spaces for you – all you need to do is control the car’s speed. 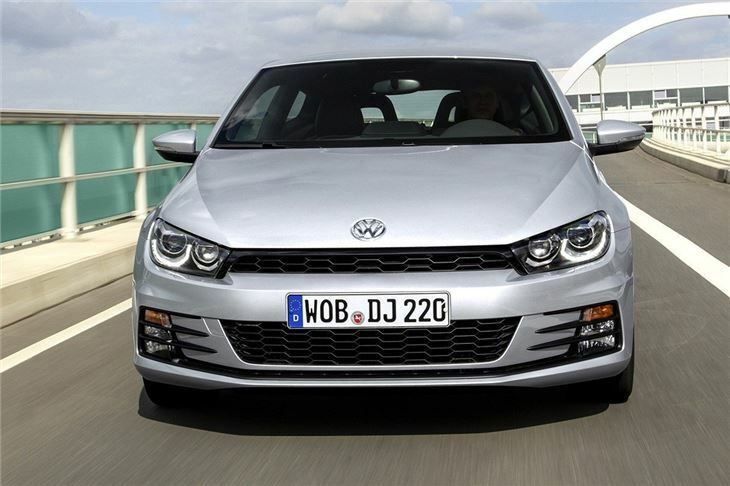 Another new addition is a main-beam assistance system that dips headlights automatically, plus an optional 400 Watt audio system with eight speakers and a subwoofer. 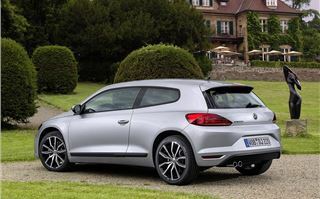 Unfortunately, despite the tweaks to the cabin, the Scirocco does still have some practical shortcomings. Space in the rear is tight and there are only two back seats, so families with older children might struggle for room. 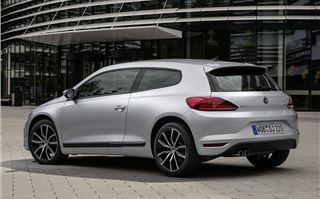 The boot isn’t the best either – load space is a decent 312 litres, but the load lip is very high, making it tricky to load and unload bulky or heavy items. 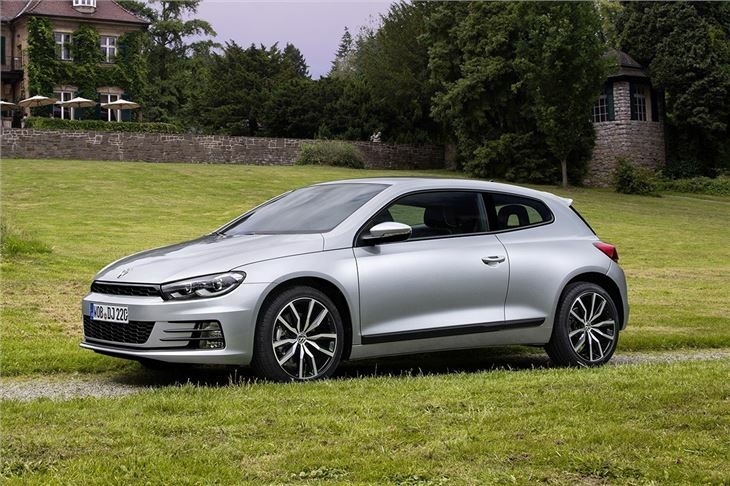 But most buyers won’t really care about the amount of rear-seat legroom or boot space – the Scirocco is bought because of its sporty looks and engaging drive – which it most certainly retains with the latest refresh. 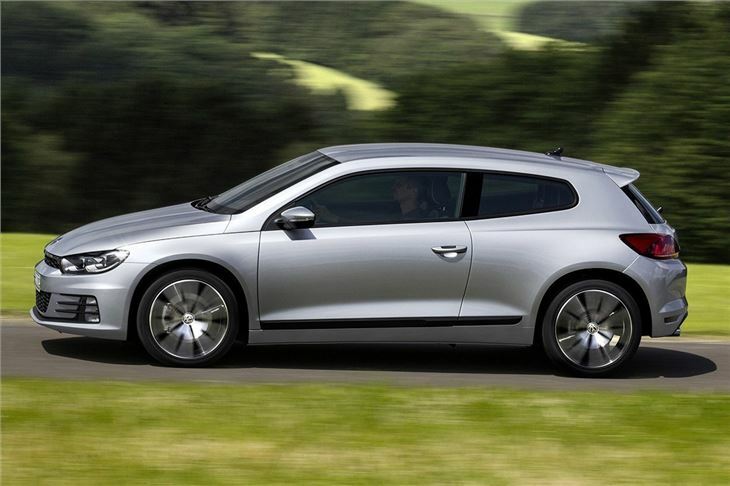 There’s more to it than that, though – it’s also as solidly built, as quiet, as smooth and as comfortable as a Golf when it’s not bounding up a twisting B-road. It’s easy to see why the British buy so many.